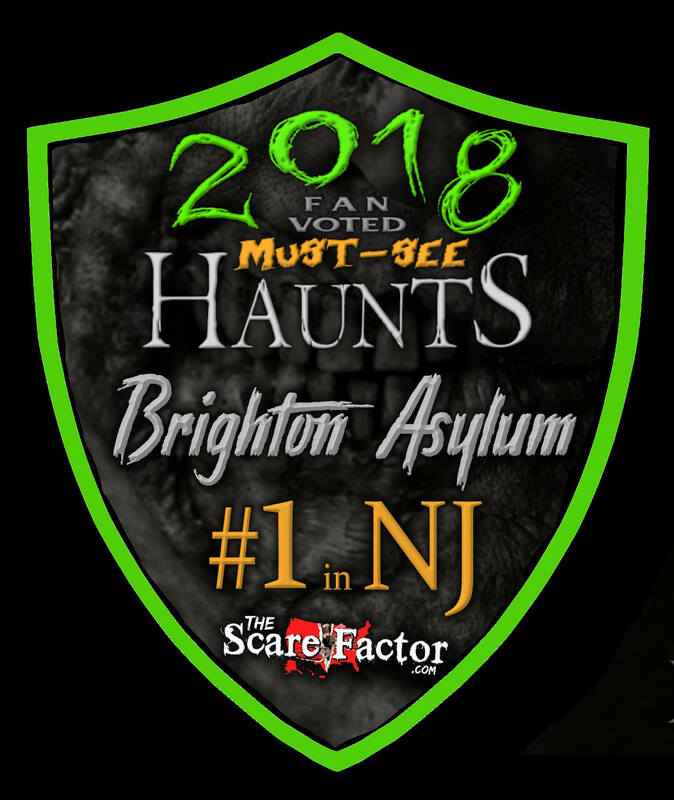 Brighton Asylum is a Haunted Attraction located in Passaic, NJ. 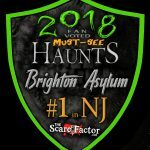 Brighton Asylum is a retro-style haunt that embraces the classic look and feel of haunted houses back in the 90’s and early 2000’s. The difference here, from the old-school haunted house, is that Brighton ramps things up using modern tactics and a full contact experience to unsettle and scare their guests. You have to choose to go that route though, so if you put the glow necklace on be prepared for random and varying levels of physicality from the scare actors. But, if you don’t want to be touched, just say no to the glow ring. 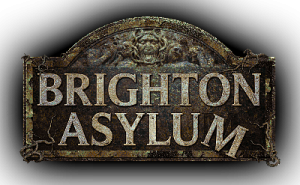 At Brighton, you will experience the Brighton Asylum itself which is an asylum-themed haunt that delves into other nightmares as well. You will also traverse through The Tunnel of Brighton, an industrial, underground attraction complete with a boiler room and other surprises. For those brave enough, the 2nd floor staffing area known as The Bleeding Grounds is open for 2018! The staff used to work, sleep, and experiment here but it’s been given this name for good reason! 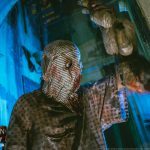 The cast is in character, whether they are out in the open and setting the scene or popping out for a jump scare that you may not see coming. Depending on your preference, the contact aspect will likely increase the intensity and threatening demeanor of the actors present. The contact here ranged from just touching on the head, to a mental patient’s full hug from behind and not letting go, to being literally bear hugged off my feet at one point and carried backwards! I would’ve liked to have seen the actors focus more on things that would be scarier or deeper characterizations, rather than just how they are going to be physical with you. It wasn’t that it was bad (what they were doing), it just felt unnecessary and kind of out-of-place here. I don’t feel like it really fit with the classic nature of the attraction. Jump scares and storytelling would have been fine, in my opinion so I may not opt for the touching in the future. The costumes were good and matched their respective scenes. The characters were traditional so the costumes only needed to be general, but they enhanced the sets and helped bring the characters to life in a more realistic way. We noticed a lot of makeup and added features such as abnormal teeth that provided an extra dimension to some of their looks. You can park in the areas around the haunt but parking seemed limited. 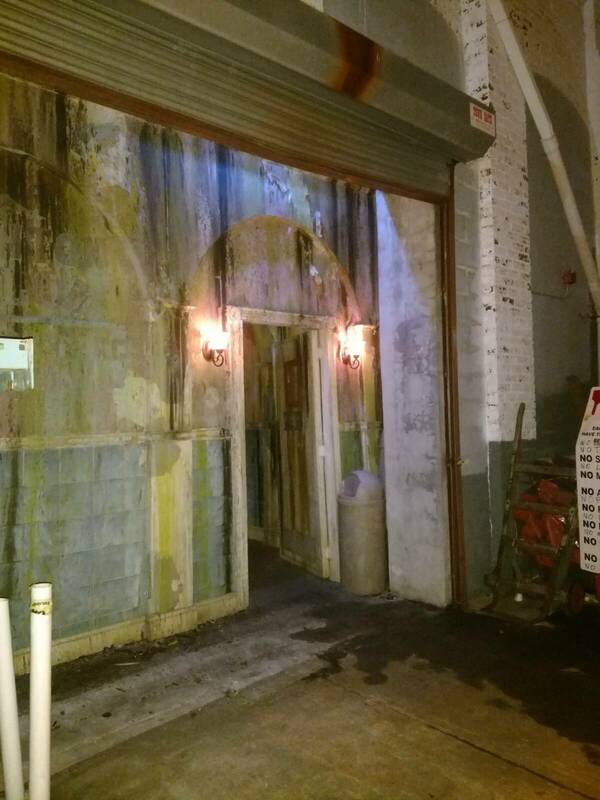 An unusual-but-fun aspect of where the haunt is located is that you have to go down a side street, and then down another side street to get to where you can walk around the building to the entrance in the back. It’s just a weird feeling being in an alley like we were going to get some non-haunt scares before we even got there (we are in New Jersey, after all)! The staff here are fantastic, incredibly friendly and laid back – almost like you are at a neighborhood home haunt with folks you know rather than the extremely busy, professional haunt that it is. Brighton Asylum felt very welcoming that way, and I can see now how it is great as a family friendly-attraction by making you feel safe and less threatened outside the house. Outside the haunt was fun, bright and welcoming. Inside, it was creepy, run down, and full of ghoulish stuff. 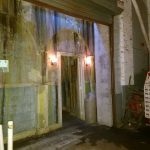 The set designs really set the tone; because you are inside a dark, old warehouse, it just had this realistic and decrepit, industrial feel. Upstairs in the Bleeding Grounds it looked and felt like an old Victorian-era building. There was so much eye candy to perfectly set the themes and atmosphere of an Asylum full of psychos and an old haunted house. The star of the show, and what Brighton is best known for, is its amazing, incredibly-detailed and immersive set designs. Every scene is fully realized and decorated with real objects; everything looks and feels real. They have clearly spent a lot of time and money on the sets and the overall look of the place. It’s the kind of haunt that other haunters wished their house actually looked like. They really achieve the classic look of a haunted house; part gothic, part creepy, rundown rooms, and hallways. 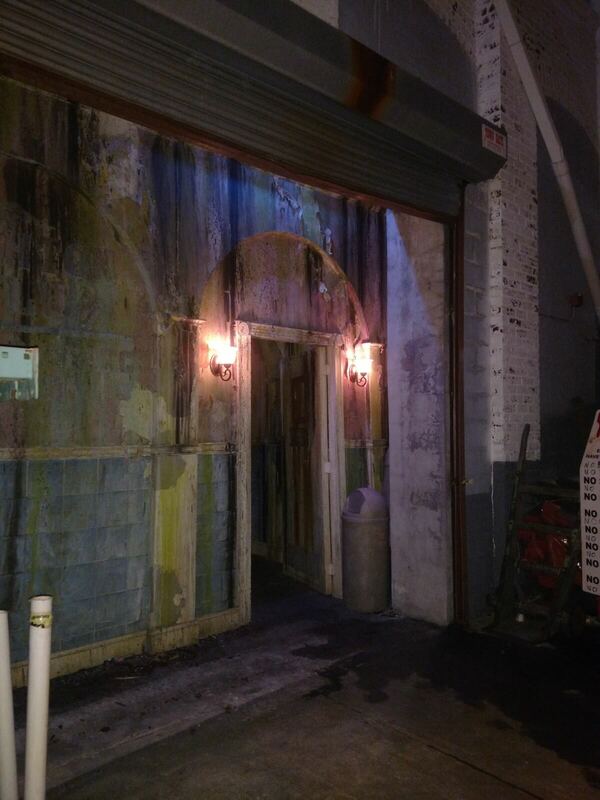 The separate upstairs area is more Victorian in nature and adds to the overall theme and atmosphere inside the haunt. 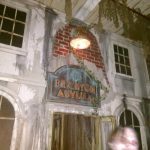 They could probably just open Brighton Asylum with no actors and just the old-school animatronics and special effects (like air blasters) and people would still be happy to go through and look at everything. I actually regretted going for the contact experience because it distracted from the fun of just looking at and experiencing all the things around me. You start off at Brighton Asylum by being separated into smaller groups in the queue line so they can send in the right size group all at once. Generally, 10 to 12 people enter at a time so that you will all fit into a simulator room that starts your journey into The Tunnel area. In this room, there are two rows of seats facing each other in a decontamination room of sorts. There are a lot of different special effects and surprises during this part and it perfectly encapsulates the experience at Brighton – entertaining, immersive, and just really fun. 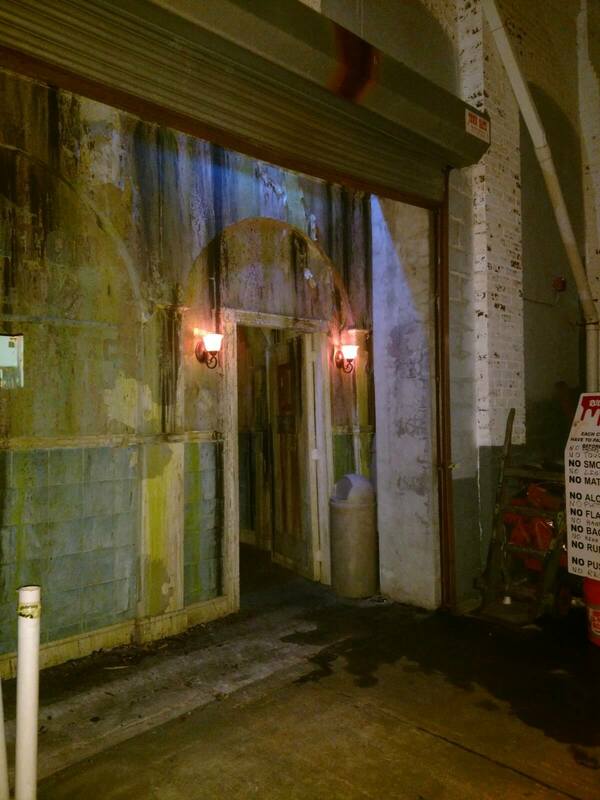 After The Tunnel, you come upon the impressive outer part of Brighton Asylum. Again it is well-detailed and creepy. 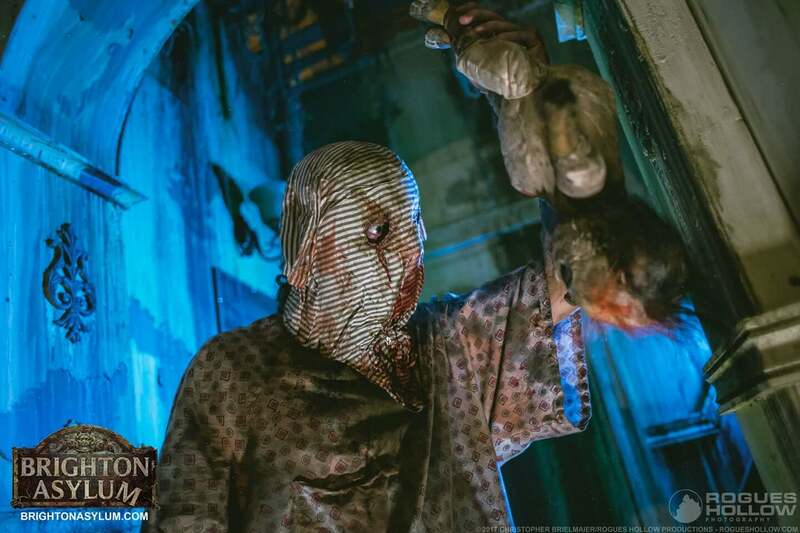 The rooms and hallways are full of different horrifying scenes and characters that blend into one long nightmare. These two areas combined took over half an hour to complete, but I wished I had even more time to take everything in. The last section is the new Bleeding Grounds area on the 2nd floor. This has a separate entrance and a shorter line as it is a separately-ticketed attraction, but can be combined with the other two in a combo ticket (more about tickets later). The Bleeding Grounds has that Victorian theme – old and classical and utilizes a lot of the same types of scares and special effects as downstairs, like the oversized, actor-controlled creatures that come out to grab you. It’s another well-detailed section, just with a different theme. Everything from the actor-controlled, oversized animatronics to the air blasters that are in here, I swear that there were pressure plates on the floor for noisemakers and as triggers for these items as most of them were perfectly timed. Everything feels authentic and there are things that will startle you, but make you laugh afterward because it scared you. It all just adds to the fun and entertainment aspect of the place. The themes are straightforward here: asylum-, underground-, and hospital-based with plenty of other areas mixed in. 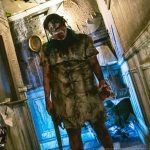 They stick to these traditional themes in everything from makeup and costumes to the overall design and layout of this haunted house. The decor and characters made the themes apparent to us and additional information (outside of what we outlined in Special Effects above) for each area can be found on their website. The scares were varied here as some scenes were just plain creepy, while other places (where the actors got in your grille) were more intense and created more anxiety. That said, the scares were somewhat inconsistent. At the times when they were more physical or in-your-face, things got really intimidating. But, because it was sporadic, it just felt jarring and uneven. I think more unexpected jump scares would be a great addition. There was a surprise scare in the Bleeding Grounds upstairs that was so good I actually had the chance to peer around the corner to watch the group behind us get scared; it was fun to watch! Brighton has one of the more confusing ticket structures of anywhere I can think of with single tickets for just downstairs to combo tickets that includes upstairs, as well as Fast Pass options for both, and even other options that include the onsite escape rooms as well. So make sure to check the description of what each ticket includes when you go to purchase them. It’s really hard to accurately assess the value of Brighton Asylum given all the different ticketing options. At the lowest price of general admission to the two downstairs attractions for $28.99, I feel this is reasonable (those took us 30 minutes). Even if you go with the three-attraction combo tickets for $35.99 with taxes and fees, it comes out to around $40 for all. Roughly, it took us another 15 minutes to explore The Bleeding Grounds, so when considering the GA for all three haunts, it puts their MPD (minutes of entertainment per dollar) at around 1.25 not including taxes or fees which was the best value offered during our visit. If you go up to the $45.99 price, you can do all three haunts PLUS their new escape room. All of these do not include Fast Pass options, which would probably be worth it if you are going on a Saturday or a busier time of the year. For me personally, I think that the general admission prices on a less busy night would be the best option. But, if you don’t like to wait or don’t have the time, then perhaps the additional $20 for Fast Pass per person would be worth it; it just starts getting pricey at that point. No matter what ticket option you go with, you’re going to get great entertainment; it just depends on what you decide to spend. Our visit was very entertaining, mostly on the inside as the outside was more of a hangout. There were three actors out in the queue – more to entertain those waiting in line than to scare and they did a great job of that. They do have options for entertainment outside the houses. 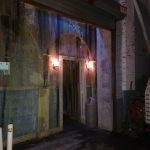 There are also a couple of other escape rooms here that I would like to come back and try when we have more time. 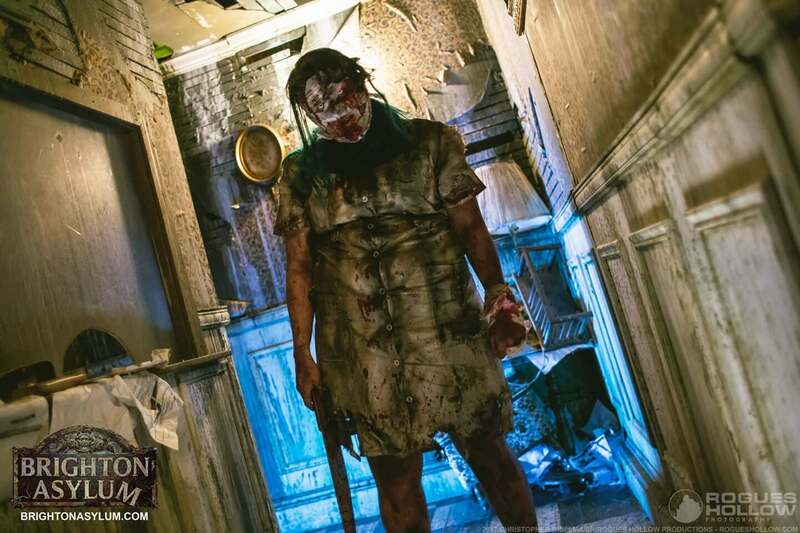 Overall, Brighton Asylum is a great time-traveling-type of experience that goes back to the days of realistically-themed and -decorated rooms, scare actors that tell the story of the rooms, as well as plenty of drop panels, air blasters, noisemakers, and many other things along the way that will keep you on your toes! Incredible. Original. Best Actors inside and out. 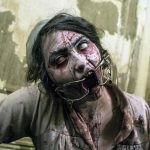 Insanely awesome special effects Excellent makeup …show more artist(s) !!! Brilliant 2 floors of scares! Escape rooms…Helpful staff. Photo ops! 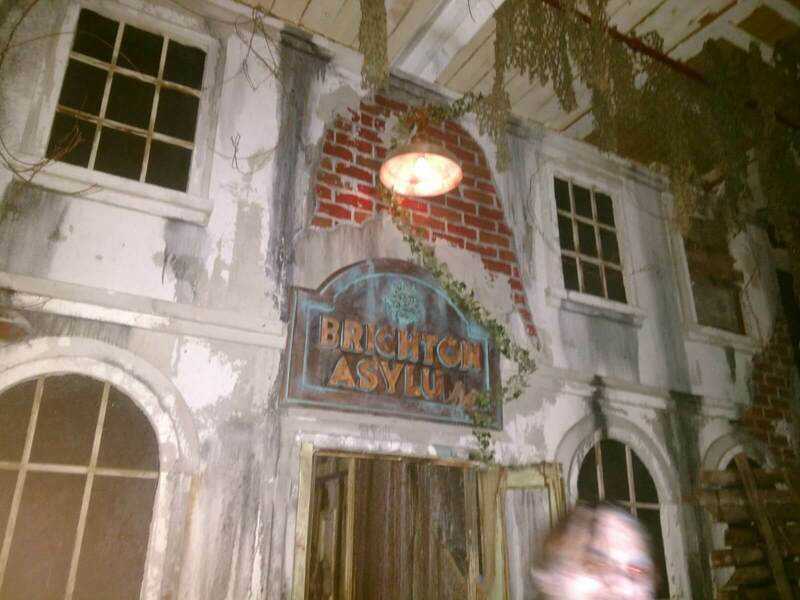 Bravo Brighton Asylum!